I had the opportunity to try out Lumo Run at the Boston Marathon Expo back in April. My first impression was super excited to have a gadget give me feedback on my form that I wouldn't take personally, because, we'll it's a gadget and not a person! 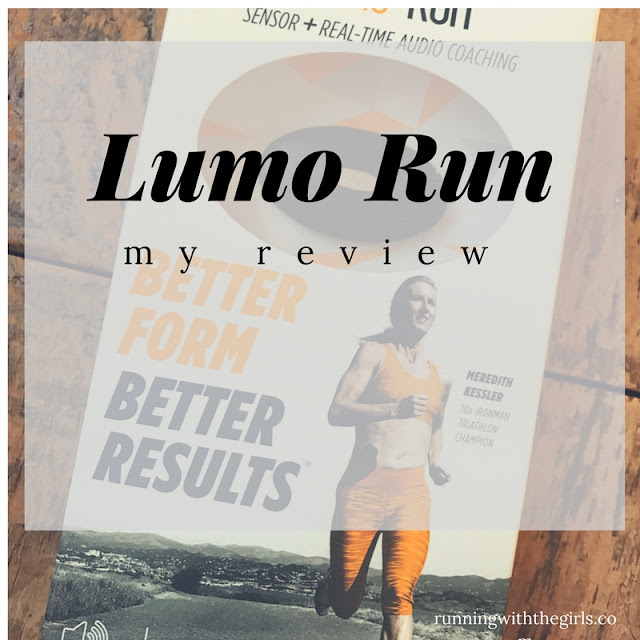 Then I came across the opportunity to review Lumo Run again this fall, so of course I took advantage of that opportunity! Let's discuss the Pros and Cons of the Lumo Run. You can see my Pros far outweighs my Cons. Really, when it comes to the treadmill, what really is accurate? Even an outdoor run using a GPS watch isn't 100% accurate. One watch will tell you one thing while another will have different mileage/pace. So, I guess I don't really care about the mileage and pace Lumo Run gives me on the treadmill. The treadmill screen tells me that part. 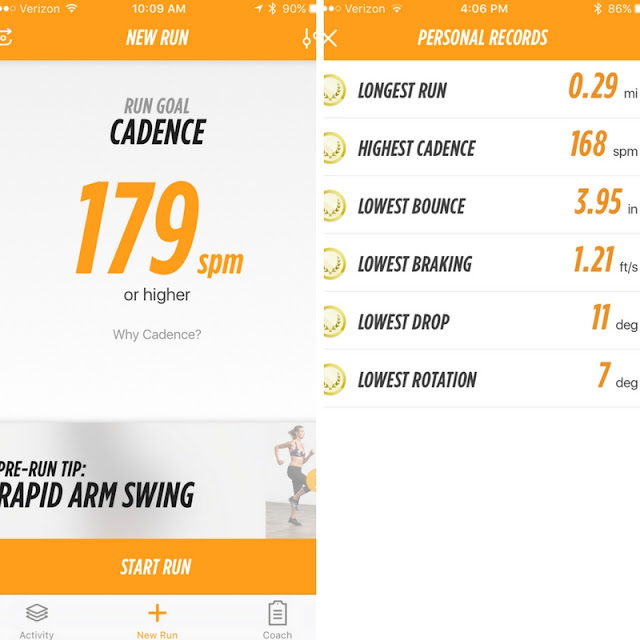 What I want out of the Lumo Run on the treadmill is the data about my run. AND it definitely gives me that. But WHAT in the world does it really measure? To learn more about each of the above mentioned, please check out Lumo Run's description here. They do it far better than I. What I've gathered from my feedback is the my cadence definitely needs work. 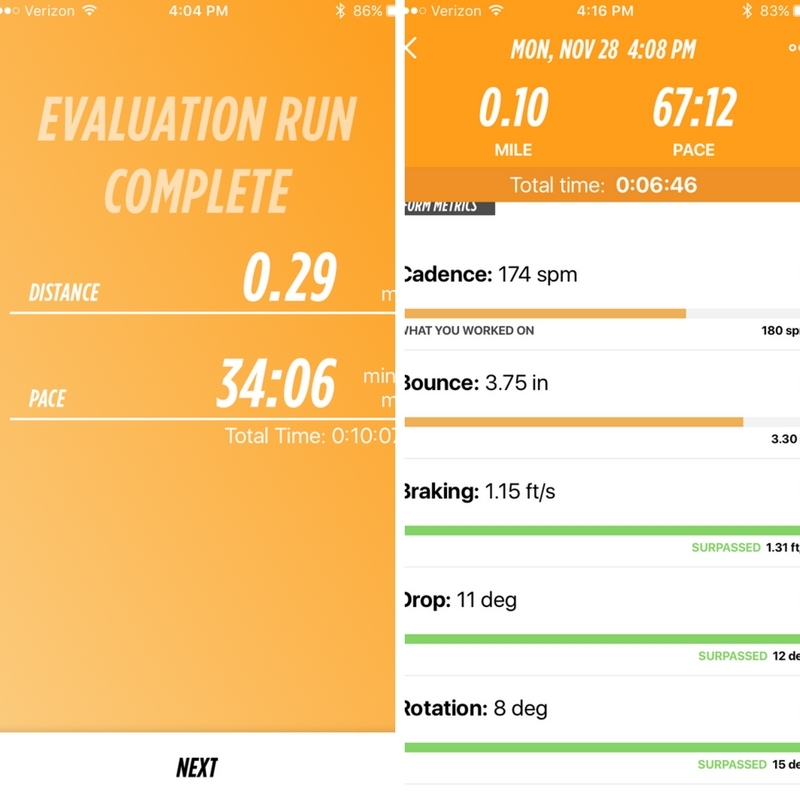 The coaching part of the app will tell me when I'm running if I've met my goal. So far, I've only heard it once. I'll get there. I know it. My bounce as well. I'm close. I didn't see much of a difference between my treadmill bounce and my road bounce, so it tells me that overall I need to work on that. I'm good with that. It's a great tool and gives you quite a bit of information; however, there could be some improvements. But not a lot. Is it worth the $99 price tag? Yes. For me, it's a marriage saver. My husband isn't giving me feedback. It's an app giving advice which, for me, is a better way to receive constructive criticism. disclosure: I was sent this product through my affiliation with Beachy Media. As always, all opinions expressed on my blog are 100% my own.